Below you can view all the homes for sale in the Clairemont Estates subdivision located in Decatur Georgia. 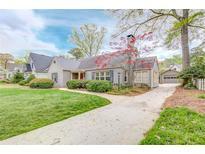 Listings in Clairemont Estates are updated daily from data we receive from the Atlanta multiple listing service. To learn more about any of these homes or to receive custom notifications when a new property is listed for sale in Clairemont Estates, give us a call at 404-998-4097. When You Want To Get Out Of The House, Decatur Square, Ymca, And City Of Decatur Schools Are All Within Walking Distance! MLS#6537462. Keller Williams Realty Intown Atl. Charming Architecture In Everyone'S Favorite Part Of The Neighborhood, Spacious Inviting Rooms Including Gracious Living Room And Separate Dining Room, Updated Kitchen And Baths, Generous Family Room Addition With Walk-Out Back Yard, Master With Private Bath On Main, Beautifully Landscaped, Flexible Floor Plan With 2 Bedrooms W/2Baths On Main Floor & 2 Bedrooms/1Bath Upstairs, Sunny Office/Study, Convenient Laundry Room & Half Bath Adjacent To Kitchen, Garage/Storage; Quiet Street Yet Minutes From All The Great Restaurants, Shops & Fun In Decatur With Prize Winning Schools MLS#6534789. Atlanta Fine Homes Sothebys International. 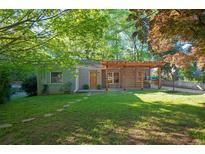 Perfect Renovated Bungalow W/ Access To Shops, Restaurants, & Schools! 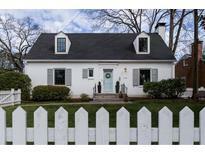 MLS#6512780. Compass.